Updated: October 27, 2016, 7:43 p.m.
"I didn't even know till Coach (Ed Hoffman) told me at the pep rally today about the 4,000 yards." 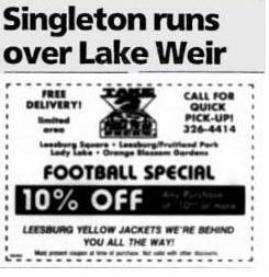 Singleton said. "I told him if it happens, it happens."